For indigenous communities across Colombia, sharing knowledge in their own language can mean ensuring that the next generation has access to important elements of their culture. 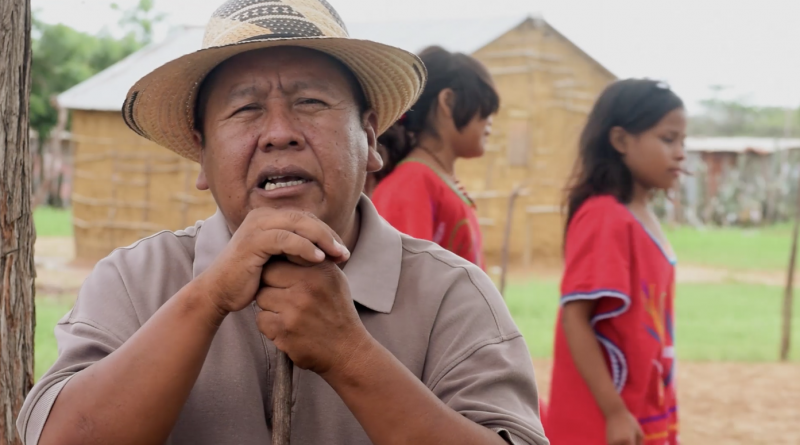 To facilitate this important education, six indigenous communities have been contributing language lessons, multimedia, and first-hand testimonials to an online platform called En Mi Idioma  (In My Language). The project is a joint initiative between the Ministry of Information and Communication Technologies (ICTs)  and the Colombian non-governmental organization Colnodo . Training is provided to those communities that express an interest in participating, and groups are given the option of making the content available exclusively to community members who are given a special username and password. Some communities, however, choose to make all of their materials freely available to the general public interested in learning more about the language and culture. Namtrik , Nasa Yuwe , Emberá Chamí , Wayuunaiki , Barí , and Kichwa  are the native languages available on the platform, as well as the Palenquero  language, a creole language based on Spanish. …en nuestro pueblo hay discusiones sobre cómo escribir nuestro idioma, pues durante años fuimos y seguimos siendo culturas de lo oral, pero hoy como estrategia de pervivencia consideramos importante construir un código escrito. Es por esto que encontrarás diferencias en algunos textos escritos en Êbêrâ Β'e'dea, eso no te debe angustiar, por el contrario ¡anímate a enriquecer nuestro idioma con tus aportes! …in our community, there are discussions about how to write our language, for many years we have been and continue to be an oral-based culture, but as a survival strategy we consider that it is important to build a written code. It is for that reason that you may might find some differences in the written texts in Êbêrâ Β'e'dea (Embera Chamí), but that shouldn’t distress you, on the contrary, we encourage you to enrich our language with your contributions! Some of the language lessons created by the Emberá Chamí contributors focus on typical foods (“Chi chikorârâ”), animals (“Chi ânimârârâ”) and plants (“Chi ‘Bakururâ”), life cycles (“ariwayu”), and everyday words (“Dachi aribia bedeabari”). 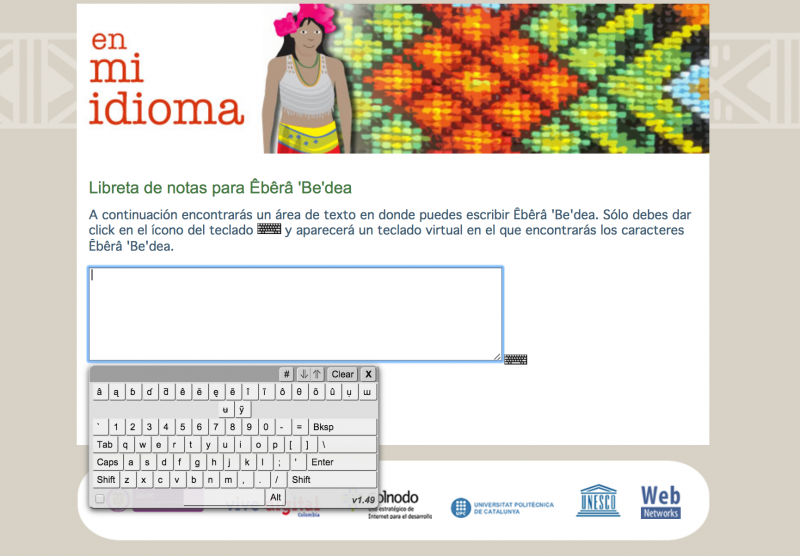 To assist with writing in the language, the Emberá Chamí site also provides a virtual keyboard to reproduce letters that may not be available on some keyboards. Screenshot of the virtual keyboard for Emberá Chamí. Recognizing that many who wish to access this content may not have a reliable internet connection, En Mi Idioma is also available in an offline format. This helps to ensure that the efforts by the indigenous communities creating multimedia and language lessons can reach the intended audience.